Doctor's detailed case notes of veterinary application of the heartworm preventative Revolution and the devastating health effects to this Doberman. On January 10, 2000 I took my eleven year old female Doberman to the vet to get a heartworm check in order to get her back on the heartworm prevention Program for the spring and summer months. I had used Program with her for 7 1/2 years with absolutely no problems. I also knew that I would have to put her back on oral Sentinel that prevents for intestinal worms. Being new to the Southeast and coming from California where we don't have heartworms, we had no problems. The heartworm test and blood panel was done, and everything was in fine order. So, on the 12th of January, my husband, Alexandria and I went back in to get the Program and Sentinel. While we were talking with the vet, she suggested that the heartworm preventative Revolution would be easier to use because we wouldn't have to give the tablets. I asked what it was and she said that it was for fleas, ticks, and heartworms, and that it was applied to the back of the neck. With that she left the examining room and came back with a package of Revolution. She showed it to us, and then she said let me show you how it is applied. What I expected was that she was going to only demonstrate how it would be applied "if" we chose to use it. But to the astonishment of both my husband and I, she actually applied it to the back of my dog's neck. I wasn't very happy about this, but, I liked our vet so I just let it slide. Because she had opened the Revolution package we were expected to purchase it. The cost of the heartworm medicine was $93.00. It is important to note that at this time Alexandria weighed 53 pounds and it is fair to say that she is a very picky eater. She was raised on a special diet due to living outside of the country where canned dog food was not available. So when she went off her food on the 14th of Jan. (2 days after Revolution was applied) I wasn't too concerned. I had also noticed that she didn't seem as peppy as normal, so I called my veterinarian to see if maybe there was a virus that was affecting dogs going around. The vet's office said not to their knowledge. 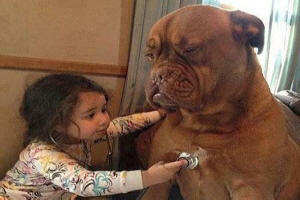 I also checked with an Internet group WellPet to see if any of them had noticed a flu or virus that was floating around. None of them had. By late afternoon her nose was running, dripping actually. This concerned me, as I had never seen her do that before. Also I noticed that she was drooling, something that she had never done. She seemed very woozy, not quite stable on her feet and again, for her that just isn't right. Even at 11, she is quick, nimble and active. I was concerned, but I thought that maybe it was a passing thing. We retired for the night but later she woke me, and when I went into the kitchen, she had had diarrhea all over the kitchen floor. She had NEVER had a bowel movement in the house since she was housebroken at the age of eight weeks. I was shocked. I cleaned it up, put her back to bed, and went back myself. When I got up in the morning she had had diarrhea in three different places. I took her outside and had to help her stand to urinate. I got her back in the house, called the vet, and she said bring her in. I took her in on the 15th (3rd day after Revolution) and the vet said that she just had a bug and would be all right. She did not run any tests but suggested that I give Alexandria Imodium for the diarrhea, and put her on soft food. She hated the Imodium and it made her vomit. So I put her on Pepto Bismol. She picked at the boiled chicken that I fixed for her but she wouldn't eat the rice. She had no appetite and only ate a little to please me. That it really worried me. 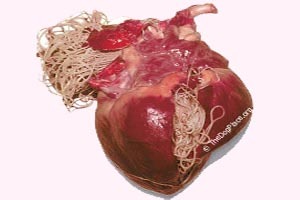 X-rays were taken and were normal with the exception of an enlargement of the spleen. Feb.7 (25 days since Revolution) Alexandria is now weighing only 40 pounds - down from 53 pounds - when we went in for a check up and another blood test. Microscopic Description: there is no visual evidence of regeneration of the anemia, but this should be evaluated with a reticulocyte count. Though low in number, the WBC distribution appears fairly normal with podominantly segs, lesser lymphs and few monocytes and eosinophils. Some of the lymphs are reactive. Platelet numbers appear to be low normal. Diagnosis: No specific abnormalities found. Jan L. VanSteenhouse, D.V.M., PH.D., Dip. A.C.V.P. On Feb.13 (31 days after Revolution) we went back to the vets for more blood work. Everything else was in the normal range. Low but normal. We are still battling the loss of weight. Alexandria still only weighs approximately 45 pounds instead of her normal 53. She has good days and not so good days. Some days she eats up a storm and others I have to hand feed her. 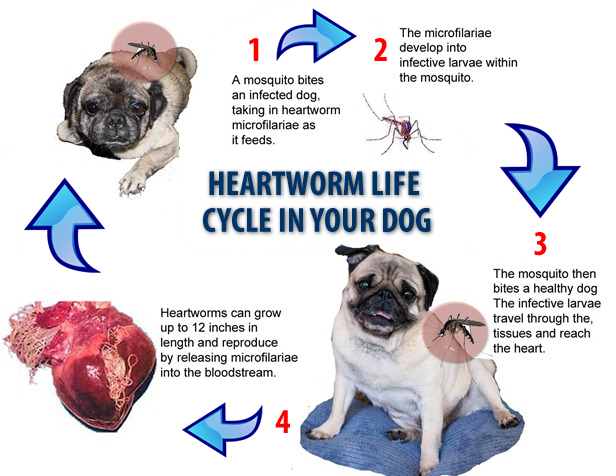 It is my personal opinion that the cause of this problem was a reaction to the Revolution heartworm prevention that was applied without permission. Because Alexandria is an older dog, it is much harder for her to bounce back. It has been painful for her, and as the one who loves her more than my own life, I can't even put into words what is has cost me. Not in the dollars spent, but in the fear, apprehension and despair. This should not happen. It must not be allowed to happen ever again to anyone's beloved pet. March 13th a doctor from the Pfizer company called me. She was very nice. She said that they had gotten one of my letters and she wanted to check and see how Alexandria was. She asked if I would mind sending her a copy of the records and I told her I wouldn't mind at all, they also offered to pay for the treatment costs. I just added up the cost to date. It is $1623.91. I don't want people to think that money is the issue. IT WASN'T. But as you know there are people that just couldn't afford this. 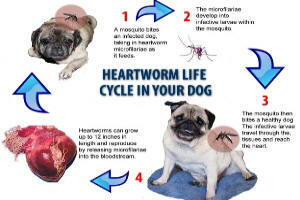 It makes the cost of preventing heartworms in terms of the dog's health and the owner's ability to pay, almost as bad as having a beloved dog actually have heartworm disease. Sadly, Alexandria did not live out the year. I am reeling but compelled to share this with your readers. Many Dobermans live much longer and she was healthy and vibrant before the heartworm preventative. Editor's note: Dr. Roberta Lee passed away in 2014 but as a member of TheDogPlace.org Science & Advisory Board her knowledge continues to serve dog owners around the globe.